You heard it: 4 minutes, 31 seconds of previously unreleased content for Marvel Studios‘ Avengers: Endgame have leaked out onto the net, shocking many an unsuspecting viewer who was not fully prepared. 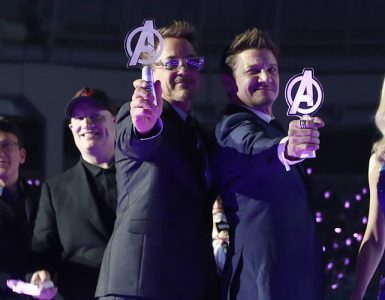 Up until now, Marvel Studios and Disney have been keeping their cards really close to their hands, not giving away anything spoiler-related with regards to what transpires in the epic 182-minute conclusion to The Infinity Saga. Even the stars and directors, who were at the Seoul press conference last weekend, were all tight-lipped about the events of the movie. Apparently, an unknown source managed to grab hold of five minutes of it and has been spreading the leaked footage around on Twitter and Reddit ever since. Despite Marvel and Disney’s best efforts to take down the leak, many have reportedly seen it already, and they have revealed that nearly every second of the five minutes aren’t shown in any of the official trailers so far. It appears that the April 24 release date is a tad too far off for some people, spurning them to divulge the footage to the rest of the internet. Besides nasty anonymous posters online, toy makers are another notorious source of spoilers over the years. Recently, we came across a potential spoiler-y Hasbro toy that depicts something rather crucial to the events of Endgame. If you choose to click on this link, know that it might be a huge spoiler. You have been warned. In that sense, this is our Public Service Announcement to you spoiler-averse fans out there: beware the leaks! Stay clear of any such links if you’d prefer to watch Endgame with a fresh, unadulterated perspective. So stay clean, grab some Avengers: Endgame-themed merch while you’re at the cinemas, and enjoy it without any fear of spoilers.